Continental ice masses in western Antarctica are believed to be less stable than their counterparts in East Antarctica. Most likely, they are already making a significant contribution to global sea level rise. This contribution may even increase strongly in the future. One reason is that ice masses in western Antarctica rest on the ground below sea level over large areas. Loss of shelf ice, which has a stabilizing effect on glaciers in the catchment area, are another factor. The ice loss has now been examined and confirmed with 4 independent methods. Earlier studies focussed on one method only, leaving the possibility of undetected methodical errors. This risk is eliminated by using 4 independent methods. These are laser and radar altimetry time-variable gravity, surface mass balance, and radar-based ice velocity and ice thickness measurements. All methods confirm the ice loss and its acceleration in recent years. Over the whole study period from 1992 to 2013, the ice loss is measured at 83±5 Gt/yr (billion tons per year), with an acceleration of 6.1±0.7 Gt/yr2. 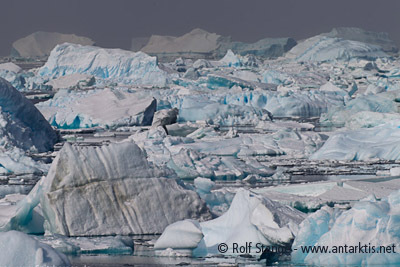 Looking only at the more recent years 2003-2009, the resulting ice loss is 84±10 Gt, no significant change. But the acceleration has almost tripled to 16.3±5.6 Gt/yr2. Including 2 more years, looking at 2003-2011, yields a higher ice loss rate of 102±10 Gt/yr and an acceleration of 15.7±4.0 Gt/yr2. The increase of acceleration is reason for concern. Currently, continental western Antarctica ice masses are estimated to contribute with 0.3 mm/yr to global sea level rise.